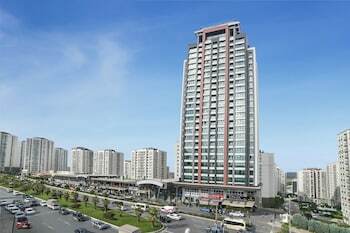 With a stay at Avrupa Residence Suites in Istanbul, you'll be 7.8 mi (12.5 km) from Miniaturk and 11.4 mi (18.4 km) from Taksim Square. Featured amenities include limo/town car service, express check-in, and express check-out. For a surcharge, guests may use a roundtrip airport shuttle (available 24 hours) and a train station pick-up service. With a stay at Kanuni Kervansaray Historical Hotel in Cesme, you'll be just steps from Cesme Marina and Cesme Castle. Free self parking is available onsite.